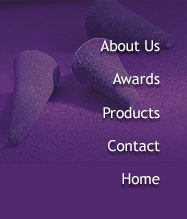 We would like to introduce our selves as one of the best manufacturers and exporters of INCENSE STICKS in India. We have an international goodwill, and command high respect in both International and Indian market. Our Company has a well-established clientage, who are promoting our product. We are the only Agarbathi Company, which has won highest awards in India. One of the Oriental Perfumes that at once attracts an individual is the odour that is being emitted by burning of agarbathies/incense sticks either in Temples, Churches, Mosques, Shops or Homes. Burning our incense sticks creates a clean & pleasant atmosphere that helps in concentration, meditation, aromatherapy or prayer. It can be burnt to mask an odour, to create a romantic atmosphere or, simply for enjoyment. So it has been a common factor amongst all communities in the world to use incense either for prayer, or for pleasure. We at ARAVINDA PARIMALA WORKS have been serving our consumers for the same with the best quality product since decades.